Berklee College of Music, located in Boston, Massachusetts, United States, is the largest independent college of contemporary music in the world. Known for the study of jazz and modern American music, it also offers college-level courses in a wide range of contemporary and historic styles, including rock, flamenco, hip hop, reggae, salsa, and bluegrass. As of 2016, Berklee alumni have been awarded a total of 266 Grammy Awards. Since 2012, Berklee College of Music has also operated a campus in Valencia, Spain. In December 2015, Berklee College of Music and the Boston Conservatory agreed to a merger. The combined institution will be known as "Berklee", with the conservatory becoming "The Boston Conservatory at Berklee". In 1945 pianist, composer, arranger and MIT graduate Lawrence Berk founded Schillinger House, the precursor to the Berklee School of Music. Located at 284 Newbury St. in Boston's Back Bay, the school specialized in the Schillinger System of harmony and composition developed by Joseph Schillinger. Berk had studied with Schillinger. Instrumental lessons and a few classes in traditional theory, harmony, and arranging were also offered. At the time of its founding almost all music schools focused primarily on classical music, but Schillinger House offered training in jazz and commercial music for radio, theater, television, and dancing. At first, most students were working professional musicians. Many students were former World War II service members who attended under the G.I. Bill. Initial enrollment was fewer than 50 students, but by 1949 there were more than 500 students. In 1954, when the school's curriculum had expanded to include music education classes and more traditional music theory, Berk changed the name to Berklee School of Music, after his 12-year-old son Lee Eliot Berk, to reflect the broader scope of instruction. Lawrence Berk placed great emphasis on learning from practitioners, as opposed to academics, and generally hired working musicians as faculty members. Several of the school's best-known musician-educators arrived after the school's name change. In 1956, trumpeter Herb Pomeroy joined the faculty and remained until his retirement in 1996. Drummer Alan Dawson and saxophonist Charlie Mariano became faculty members in 1957. Reed player John LaPorta began teaching in 1962. Like many of Berk's ideas, this practice continues into the present. Although far more emphasis is placed on academic credentials among new faculty hires than in the past, experienced performers such as Gary Burton, Pat Metheny, Arif Mardin, Emin Findikoglu, Hasan Cihat Orter, Aydin Esen, Joe Lovano, and Danilo Perez have served as faculty over the years. Another trend in the school's history also began the mid-1950s. During this period, the school began to attract international students in greater numbers. For example, Japanese pianist Toshiko Akiyoshi arrived in 1956. Multiple Grammy-winning producer Arif Mardin came from Turkey to study at the school in 1958. In 1979, Berklee founder Lawrence Berk stepped down as president. The board of trustees appointed his son, Lee Eliot Berk, to replace him. Under new leadership, the school underwent further growth and diversification of its curriculum. The college offered the world's first undergraduate degree program in film scoring starting 1980. Beginning in 1981, the string department curriculum expanded to include many stylistic idioms besides classical music. In 1986, the world's first college-level major in music synthesis was offered, followed by the world's first college songwriting major in 1987. Instrumental majors also expanded to include the first college hand-percussion major in 1988. The number of international students has grown steadily to 24.2% of total enrollment in 2010 and 28% as of the 2012-2013 academic year. Berklee expanded its community outreach efforts in 1991 with the launch of City Music, a program designed to make music instruction available to underserved youth in the Boston area. On a more global scale, Berklee partnered with selected music schools around the world to form the Berklee International Network in 1993. Another new major, in music therapy, was offered beginning in 1996. In 2002, the school began offering classes online through Berkleemusic.com, now called Berklee Online. Other curriculum developments included the incorporation of a hip-hop course in 2004. In June 2015, Berklee College of Music and The Boston Conservatory announced that the governing boards for the two schools had approved plans to pursue a proposed merger. On January 19, 2016, the two schools announced that they would be merging. The agreement was signed the next day, with Berklee College of Music being renamed Berklee, and the Conservatory being renamed The Boston Conservatory at Berklee. Majors offered in Berklee are Composition, Contemporary Writing and Production, Electronic Production and Design, Film Scoring, Jazz Composition, Music Business/Management, Music Education (degree only), Music Production and Engineering, Music Therapy (degree only), Performance, Professional Music, and Songwriting. In Fall 2010, Berklee's Liberal Arts Department introduced new minors that Berklee students can pursue aside from their major. These include Acoustics and Electronics, Audio Design for Video Games, Conducting, Drama, English, History, Instrument Repair, Music and Society, Performance Studies in Latin Music, Philosophy, Psychology, Theory of Jazz and Popular Song, Video Game Scoring, Visual Culture and New Media Studies, and Writing for TV and New Media. Berklee offers a study abroad opportunity for its students in Boston. 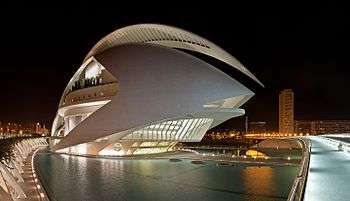 The program takes students to Berklee College of Music in Valencia, Spain to study a range of offerings from performance and music business as well as filmscoring and other aspect of music technology. In June 2014, Berklee announced that it was launching two new graduate degree programs at its Boston campus, with the first classes entering in Fall 2015. The two graduate degrees available are a Master of Arts in Music Therapy and a Master of Music in Contemporary Performance. Berklee College of Music's acceptance rate for Fall 2012 semester was 19.2%. As of 2014, Berklee occupied 25 buildings primarily in the Back Bay area of Boston, near the intersection of Boylston Street and Massachusetts Avenue. Within these buildings were 40 recording studios, 5 film/video scoring and editing facilities, and 9 music synthesis facilities. The studios of the five-channel, commercial-free Berklee Internet Radio Network (BIRN), which launched in 2007, were also housed on campus. A new Liberal Arts building at 7 Haviland Street was dedicated in 2010. It houses the Liberal Arts, Music Therapy, and Music Business Departments, as well as the Africana Studies program. In early 2011, Berklee College of Music announced its master plan of building 3 new buildings along the Massachusetts Avenue. The first building, a 16-story mixed-use building at 160 Massachusetts Avenue that include 370 dorm rooms, a two-story cafeteria, a performance center, 14,000 square feet (1,300 m2) of recording studios, and retail space, opened in February 2014. Boston Globe architecture critic Robert Campbell described it "as very good building." The building received the American Institute of Architects' 2015 Housing Award, being named one of the best 10 residential projects of the previous year. The second building is going to be built on top of the existing 130–136 Massachusetts Avenue (The Berklee Performance Centre). The new building is expected to house additional 450 students, as well as a performing center, in its 24-story tall structure. The third building is planned to be at 161–171 Massachusetts Avenue, which is expected to contain more academic and administrative space for the Berklee College of Music. Berklee speculates that the new building will be open for Spring 2014. Berklee València campus focuses primarily on graduate programs in the following areas: Contemporary Performance; Music Technology Innovation; Global Entertainment and Music Business; and Scoring for Film, Television, and Video Games. Berklee Boston undergraduates have the opportunity to study at the València campus. Designed for students in music business, performance or music technology majors, the program offers students access to facilities and a chance to experience the European music industry. This center expands international opportunities for Berklee students through a variety of initiatives that include internships for those candidates with the most talent and qualifications, and networking opportunities in the València signature areas of study. Students, experienced Berklee educators, visiting musicians, and new faculty from Spain and beyond meet in Valencia to explore the many fusions of global music prevalent in and around the Mediterranean rim. The institute will help make Berklee in Valencia a hub for the study, evolution, and proliferation of the many musical genres associated with the Mediterranean region, including flamenco. Javier Limón serves as the Artistic Director of the Berklee College of Music's Mediterranean Music Institute. Berklee Online's online music courses, multi-course certificate programs, and Bachelor of Professional Studies online degree programs are accredited and taught by the college's faculty and industry professionals. The school also provides free Berklee online music resources through massive open online courses (MOOCs) including Coursera, EdX, and Kadenze. Berklee's online music courses are 12 weeks in duration, and are accredited by the New England Association of Schools and Colleges (NEASC). Students can opt to take courses for-credit or non-credit. The courses cover all areas of music education including music production, performance, songwriting, orchestration, music business, music theory, and more. All courses are authored and taught by Berklee faculty or industry experts. Berklee Online offers three types of multi-course certificate programs ranging from one to three years of training: Specialist (3 courses), Professional (5 to 6 courses), and Master (8 to 12 courses). In October 2013, the online school began accepting applications for its 120-credit online degree in two majors: Bachelor of Professional Studies in Music Production and Bachelor of Professional Studies in Music Business. In November 2014, Berklee Online added three new degree majors to its Bachelor of Professional Studies program: Electronic Music Production and Sound Design, Music Composition for Film, TV, and Games, and Interdisciplinary Music Studies, a major that allows students to build their own program based on their musical interests and goals. The college is reportedly the first nonprofit music institution to offer regionally accredited bachelor's degrees online. Berklee Press is the publishing arm of Berklee College of Music and has been publishing music instruction books since the 1960s. ↑ "A Welcome to the Class of 2008 and a Salute to Saxophone Great Michael Brecker". Berklee. Berklee College of Music. Retrieved 2016-03-01. ↑ "Biography". Mark Whitfield.com. Retrieved 23 March 2013. ↑ "Berklee College of Music". ArtsBoston.org. Archived from the original on September 5, 2015. Retrieved September 19, 2015. ↑ "Alumni Grammy Winners". Berklee.edu. Retrieved May 24, 2016. ↑ "Berklee and The Boston Conservatory Agree to Merger, Set the Stage for New International Standard in Performing Arts Education". Berklee. January 19, 2016. Retrieved February 16, 2016. ↑ "biography on Gary Burton.com". Garyburton.com. Archived from the original on November 25, 2012. Retrieved January 5, 2013. 1 2 3 "Berklee College of Music Fact Sheet" for the 2013-2014 academic year, Berklee website. Accessed September 26, 2015. ↑ ""Eric John Up Close part 3" embedded YouTube video on Harmony Central". Namm.harmony-central.com. Retrieved January 5, 2013. ↑ Lawless, John. "Matt Glaser to direct American Roots Music Program at Berklee". Bluegrass Today. Retrieved November 29, 2011. ↑ Fine, Eric (February 2010). "Berklee Goes Global with New Institute". DownBeat: 78. ↑ Cooper, Michael. "Berklee College of Music Exploring Merger With Boston Conservatory". ↑ "Berklee and The Boston Conservatory Agree to Merger, Set the Stage for New International Standard in Performing Arts Education | Berklee College of Music". www.berklee.edu. Berklee College of Music. Retrieved 20 January 2016. ↑ Pohle, Allison (20 January 2016). "Berklee College of Music and The Boston Conservatory will merge". Boston.com. Retrieved 20 January 2016. ↑ "Majors". Berklee.edu. Retrieved May 24, 2016. ↑ "Minor Programs of Study". Berklee.edu. Retrieved May 24, 2016. ↑ Berklee Admissions FAQs accessed June 13, 2011 Archived August 24, 2011, at the Wayback Machine. ↑ Audition and Interview accessed on October 28, 2011 Archived October 25, 2011, at the Wayback Machine. ↑ "Berklee College of Music | Berklee College | Best College | US News". Colleges.usnews.rankingsandreviews.com. Retrieved 2016-02-29. ↑ Stan Getz Media Center and Library, accessed December 15, 2010 Archived May 27, 2010, at the Wayback Machine. ↑ "Facts and Statistics". Berklee.edu. Retrieved May 24, 2016. ↑ Leslie Mahoney, "Berklee News: 7 Haviland," Berklee website accessed December 15, 2010. ↑ "BRA approves Berklee's master plan, including 3 new buildings". Boston.com. Retrieved May 24, 2016. ↑ "About Us - Berklee València Campus". Berkleevalencia.org. Retrieved May 24, 2016. ↑ Skelly, Matt. "Mediterranean Music Institute Launches". Berklee News. Retrieved November 29, 2011. ↑ "About Berklee Online - Berklee Online". ↑ "Online Music Degrees - Berklee Online". Online.berklee.edu. Retrieved May 24, 2016. ↑ "Music Books, Videos and DVDs from Berklee Press". Retrieved 2 September 2013. ↑ "About Berklee Press". Berklee Press. Retrieved 2 September 2013.